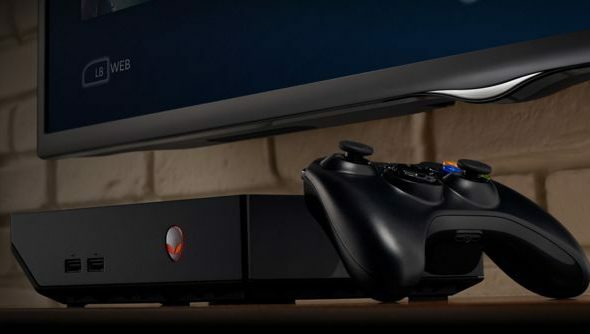 The Alienware Alpha is a living room take on the modern PC, but with the ease of use of a console. It’s a symbiotic relationship of both Steam Big Picture Mode and Alienwares own Windows tailored OS. It’s due to be out just before Christmas, and If you’re interest about picking one up, you will surely want to see it in action first. We’ve got a slew of benchmark videos of the Alienware Alpha playing through the latest games on very respectable settings. From the simple yet slick visuals of Borderlands 2, all the way to the demanding Middle-Earth: Shadow of Mordor. With everything turned to eleven, the Alienware Alpha seems to have no trouble putting out a constant 60FPS at 1080p. This is obviously due to the less demanding cell-shaded environments, but it’s still pretty nonetheless. Remember: you’re not forced to use the Alienware Alpha with only controller enabled games. Plug in a keyboard and mouse and you can play just about anything. Again, the machine has no problem outputting 60FPS and beyond with the settings turned to maximum, and at a 1080p resolution. OK, lets try something a little more demanding. Everything is set to “high” and tessellations is turned off for this one. Considering the Alienware Alpha only has 2GB of GDDR5 VRAM with it’s custom Nvidia GPU, I think it puts out a very respectable performance since the game asks for 3GB+ for “high” textures. It never dips below 30FPS at 1080p; if FPS is more important to you, you could always drop the textures to “medium”. Can you imagine playing an MMO on the living room TV? Well it certainly will become easier once the Alpha is out. It’s ran with “ultra” settings in the new Warlords of Draenor beta expansion. This means it’s got the updated models and environment, which translates to more pretty and demanding visuals. It ranges between 45 and 60FPS at 1080p, but the rain will certainly be taking a chunk off that; I can imagine that indoors you’ll have a constant 60FPS+.